On Jan. 30, the show Good Morning Britain tweeted twice, riling up millennials everywhere. “Are millennials (those aged in the 18-35 range) useless?” the first tweet read. Good Morning Britain did not stop there, and the next tweet took a personal jab at all millennials. “Millennials can do anything … so long as there’s wifi to access Google and YouTube, right?” the second tweet read. The tweet provoked many millennials to write some brutal responses. “Ten years of study, hard work and dedication but call us useless,” Richard Graves tweeted back. Are millennials not getting enough credit for what they have accomplished, or are they truly as useless as many people argue? We at Scroll believe millennials deserve more credit for what they are doing, and others should not focus on the failures of the generation, but instead focus on its many great accomplishments. Jessica Lutz, a millennial who is a Forbes contributor, shows baby boomers and Gen Xers that a millennial can save money and spend it wisely despite the negative stereotypes. In a Forbes article, Lutz said she is a 27-year-old millennial who likes to save her money and put it in the bank, unlike many millennials in the world today. According to a survey in 2017 conducted by GoBankingRates, 41 percent of Americans aged 25 to 34 have nothing saved, 20 percent have less than $1,000 dollars saved, 13 percent have $1,000 to $4,999 saved, 6 percent have $5,000 to $9,999 saved and 20 percent have more than $10,000 saved. Although the statistics aren’t in Lutz’s favor, she defies statistics. Lutz said she currently has $6,300 saved, owns a ten-year-old car that is paid off and owns a home, all at the age of 27: a prime millennial age. Millennials are accomplishing many things, like holding prominent positions in companies all over the world. This is changing marketing tactics to reflect their way of thinking. However, millennials are still being held responsible for killing certain industries, including chain restaurants and cable TV. This is not necessarily a bad thing though. Innovation and change are key in a developing society. Millennials are creating an innovative work space in society that can be closely compared to the innovative industrial revolution that was at its peak in the late 1700s and early 1800s. The industrial revolution launched the idea of changing from an agricultural economy to an urban lifestyle. Some of the many innovations that came from the industrial revolution include anesthesia, photography, food canning and ways to mine iron. These are all things that we, as a society, benefit from on a daily basis. How does this compare to the innovations discovered by millennials in the early 21st century? Millennials all over the world are changing the future of marketing in the business-to-business space. Charlie Northcott, a millennial and journalist at BBC News, gained recognition in 2016 when he covered the U.S. election using Instagram stories which won him a Webby Award, according to Forbes’ article about 30 innovators under the age of 30. Jamie Bolding, a millennial who founded his own digital media and marketing company Jungle Creations, also showed up in Forbes’ 30 under 30 article because of the innovative content his company creates. According to Forbes, Bolding’s company totals 50 million followers on their social media accounts with big fish like Disney and Apple paying good money to the company to create content for them. Along with creating and innovating new ideas, millennials are used to a more fast-paced work area because of the lives they live. According to statistia.com, in comparison to baby boomers, more than eight times more women in 2016 have attended college and nearly six times more men. 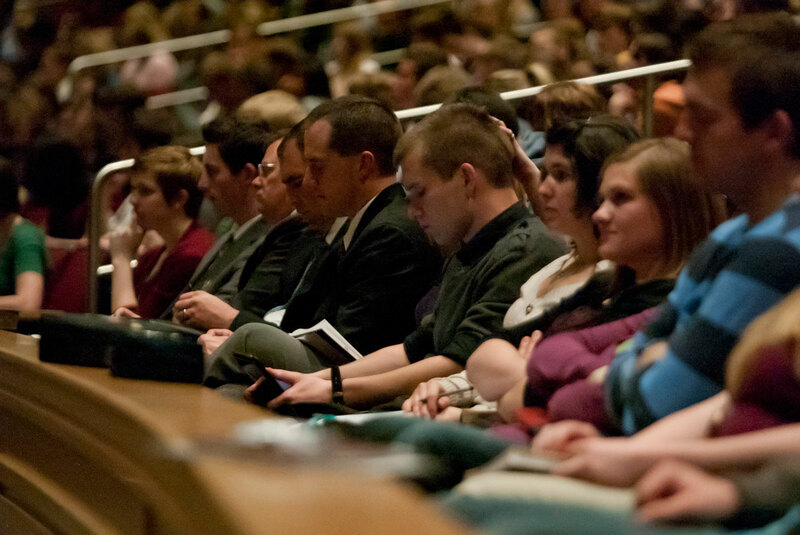 We as BYU-Idaho students need to recognize the potential we have as millennials and use that to our advantage. Millennials are changing the age of technology and will be known as the pioneers of the technological age. Although there are some millennials that are not helping this innovative age, there are many who are. Baby boomers and Gen Xers look to millennials to understand how the world is innovating. Millennials are not useless. They can even. In fact, they are changing the world.